Motorola announced six new phones today. The handsets are in its Moto G and Moto E lineups and range between $100 and $300. While these are not considered “high-end” smartphones, they have many of the same features of more expensive phones. Motorola is a reliable brand, and the Moto G and E are two of its best-selling smartphones. In the Moto G line, there is the G6, G6 Plus, and G6 Play. For Moto E, it has the E5, E5 Plus, and E5 Play. All six are powered by Qualcomm Snapdragon processors running Android 8.0 Oreo. The main differences between each device are screen size, battery life, and price. The Moto G6 and G6 Play are similar in appearance. Both have a 5.7-inch, 18:9 display with rounded edges and thin bezels. However, the G6 has a bit better resolution coming in at about 1080p compared to the Play’s 720p. Both also have 5MP and 12MP cameras in the front and rear respectively, but the G6 has dual rear-facing cameras to the Play’s single. The G6 also sports more RAM (4GB v. 3GB) and storage (64GB v. 32GB) and has USB-C.
Where the G6 Play beats, its counterpart is in battery life. The Play has an enormous 4,000mAh battery. The G6’s battery is 3,000mAh. Motorola claims it can run under typical usage conditions for 36 hours compared to about a day for the G6. However, the G6 comes with a USB-C “TurboPower” charger that the company boasts can supply the G6 with hours worth of juice after only a few minutes on the charger. The Plus version of the G6 has a larger screen as you would expect (5.9-inch, 18:9, 1080p) and a slightly faster Snapdragon processor (2.2GHz v. 1.4GHz). Its 3,200mAh battery is just a tad bigger than the G6, but still doesn’t touch the Play’s, plus with its slightly more powerful processor, its time off the charger is about the same as the G6. In the past, Motorola’s Moto E line has generally been a slightly lower performer than the G series. However, this year the Moto E5 Plus has a slightly larger 6-inch screen that its 5.9-inch counterpart. Unfortunately, this minimal “improvement” is hampered a bit by its lower 720p resolution. What I think will be its main selling point is its battery. The E5 Plus has a 5,000 mAh power pack can run for a day and a half under typical usage. That is just as long as the G6 Play, but with a larger screen. 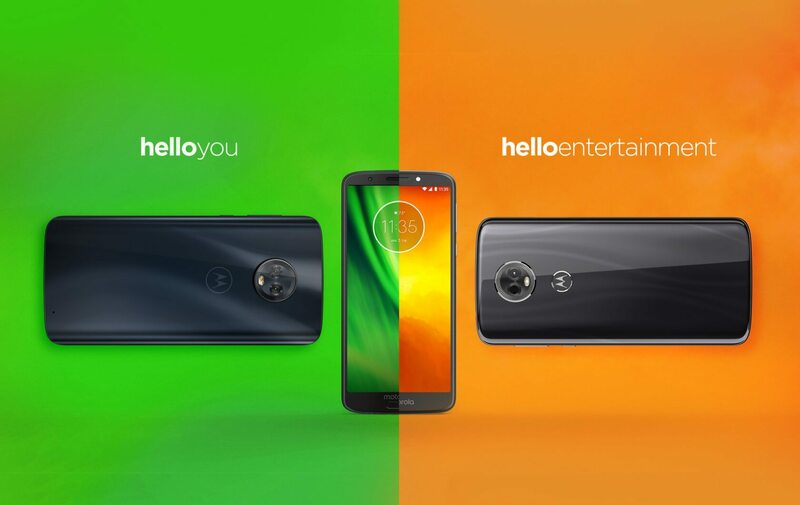 The Moto E5 and E5 Play, like their G6 counterparts and very similar in appearance. Both run on Snapdragon 425 1.4GHz processors. However, the E5 has a 5.7-inch display versus 5.2 on the Play. The batteries in the two phones are entirely different. The E5 has a 4,000mAh fixed powerpack, while the E5 Play has a 2,800 removable battery. Motorola claims that each is capable of running all day on a charge, but having the ability to hot swap a spare battery into the Play may give it a slight advantage. The Moto G6 line is already available in Brazil as of today and will be hitting Mexico next week. Motorola plans to roll out to countries in Asia Pacific, Europe, and Latin America in the coming months. The G6 Plus will not be coming to North America, but the other two in the series will. The G6 starts at $250 and goes up depending on configuration. The Plus will be $300 and up, and the Play will begin at $200. The Moto E5 Plus will be rolling out in Asia Pacific, Europe, Latin America, and North America. The E5 will be available in those same regions except for North America. The E5 Play is only coming to the US and Canada. The E5 and E5 Plus will start at around $150 and $200 respectively. A price point has not been determined for the E5 Play, but presumably it will run around $100 or so. The E5 series does not have a specific launch date, but Motorola said the line should be rolling out within the next few months.